Coy H. Browning has recovered millions of dollars for his clients in jury verdicts and settlements. As a former Florida State Trooper, Coy H. Browning has investigated more than 1,000 auto-related accidents. While motorcycles are not the most common vehicles used in Florida, they are one of the principal causes of deaths and severe injuries in Florida car accidents. Statistics in a 2016 National Highway Traffic Safety Administration (NHTSA) report states that Florida leads the nation in motorcycle-related accidents. All drivers sharing the roadway have an obligation to other motorists; therefore, it is imperative to drive in a safe, alert and defensive manner. Coy H. Browning has investigated over 1,000 auto accidents as a former Florida State Trooper. With over 14 years’ experience serving communities in Okaloosa County in personal injury lawsuits such as car, motorcycle, truck, pedestrian and wrongful death lawsuits, recovering millions of dollars, our motorcycle injury law firm understands the unique challenges bike enthusiasts face, and the dogged tactics employed by defense attorneys and insurance companies. If you have been seriously injured in a motorcycle accident, it is important that you contact an experienced attorney as soon as possible. 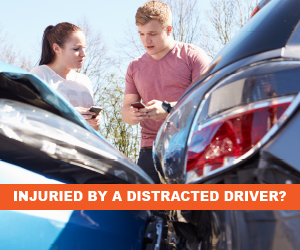 It may be necessary to obtain statements from witnesses and take photographs of the accident scene, and this vital evidence is quickly lost in the weeks following an accident. Attorney Coy H. Browning knows how to thoroughly investigate an accident scene and build a case that will get you maximum compensation for your losses. Call the Browning Law Firm today at 850-864-4384 to speak with a legal representative about your case.